As Marketing Director, Tabitha leads the marketing and research efforts for the Colliers International | Raleigh-Durham region. She oversees the development and implementation of marketing campaigns, brand leadership, presentations, proposals, advertising, social media, analytics and research reporting. 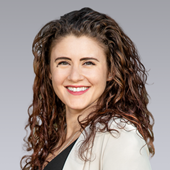 She has spent more than 15 years enhancing the marketing platform for commercial real estate brokers and their clients, including PNC Bank, MetLife, Deutsch Bank, GSA and other local and national occupiers. I began my commercial real estate career in Indianapolis, Indiana, where I facilitated over $600M in transactional volume as transaction manager for the Colliers | Indianapolis investment sales team. Prior to my return to commercial real estate in Raleigh, I spent several months as a corporate language tutor in Paris, France. I specialize in tailored marketing and transaction support and have extensive experience managing and marketing large-scale projects from the due diligence phase to closing. Additionally, I deliver presentation design and support, listing preparation, gathering market knowledge through various internal and external resources, and coordinating promotional and post-sales marketing materials. 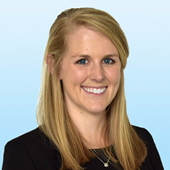 As the Senior Research Analyst Kelsey is responsible for collecting market data and creating quarterly market reports. She provides research data including lease and sale comparables, ownership information, demographics, market conditions and economic information. In addition, Kelsey delivers marketing expertise to the brokerage teams, including the preparation of proposals, website management and marketing materials. Steffen Gonzalez is the Senior Marketing Coordinator in the Raleigh-Durham office. He specializes in creating and executing new marketing strategies, along with providing research and administrative support to the Colliers team. 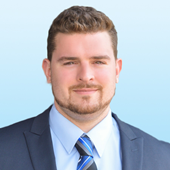 He works closely with the brokerage teams and clients to ensure consistency and quality of the Colliers brand. Before joinging the team, Steffen was a Marketing & Creative Coordinator at TerraCRG in New York City. He managed the production of all marketing materials for TerraCRG’s eight internal teams with a focus on design and creative development. Originally from the Jersey Shore, he currently resides in Raleigh, North Carolina. A frequent volunteer with Habitat for Humanity, Steffen helped their efforts in Hurricane Sandy relief. In his spare time he enjoys sports such as basketball and football and spending time with his family in his native New Jersey. Steffen received his BS in Business Administration and Digital Media from Albright College where he competed in Track & Field.